I never thought of an island so close to that of Boracay’s white sand or to Pagudpud’s swaying palm trees. I also never imagined of an island that I call “paradise on earth” – that is Cagbalete Island. Off the coast of Mauban, Quezon in Lamon Bay is a small island called ‘Cagbalete.’ As I don’t know exactly why it was called such, this tropical island – as big as Boracay – is an adventure on its own. What struck me in awe about this island is its natural beauty when the tides are low. You have probably guessed it – you would see beautifully-patterned sand waves ashore perfectly contrasted with blue skies and shadowing mountaintops on mainland Luzon. 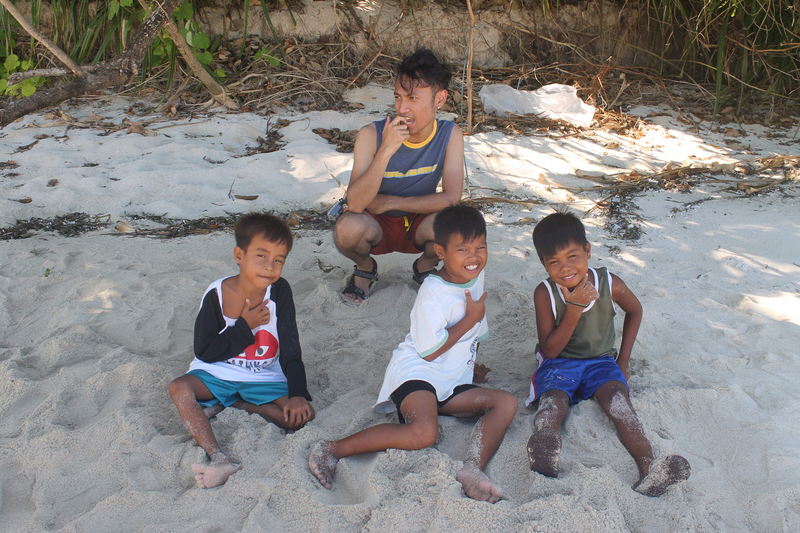 Some of the children I met on Cagbalete Island! When I and some of my new-found friends (woot!) met to have a get-together in this island, I never had second thoughts on going, even if I am the only one from Baguio. 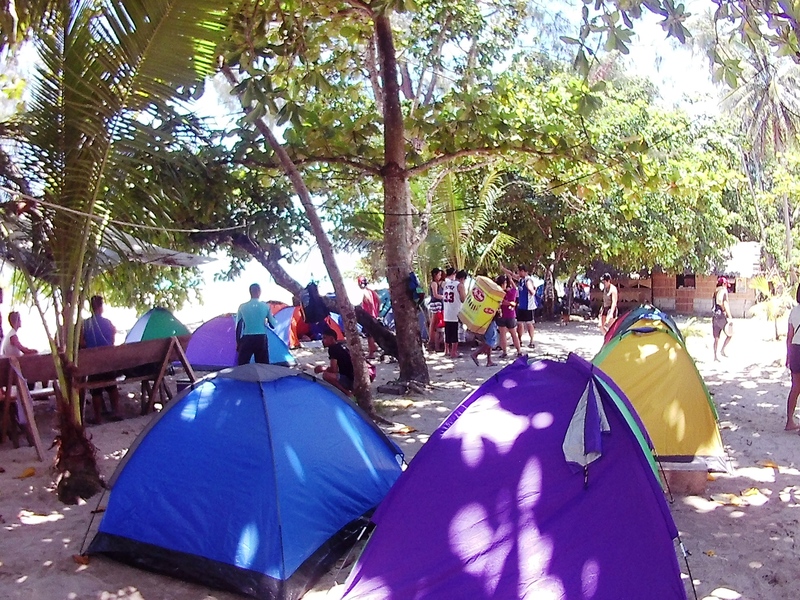 Whenever going to Cagbalete, it is best when you bring a tent with you. There are several resorts on the island that rent out cottages at reasonable prices (which are good for groups, though). Also, there is a minimal entrance (camping) fee that we have paid to the resort we were in. Contact your tour provider for such expense. The island’s some 1,600 hectare area is also home to rich flora and fauna. 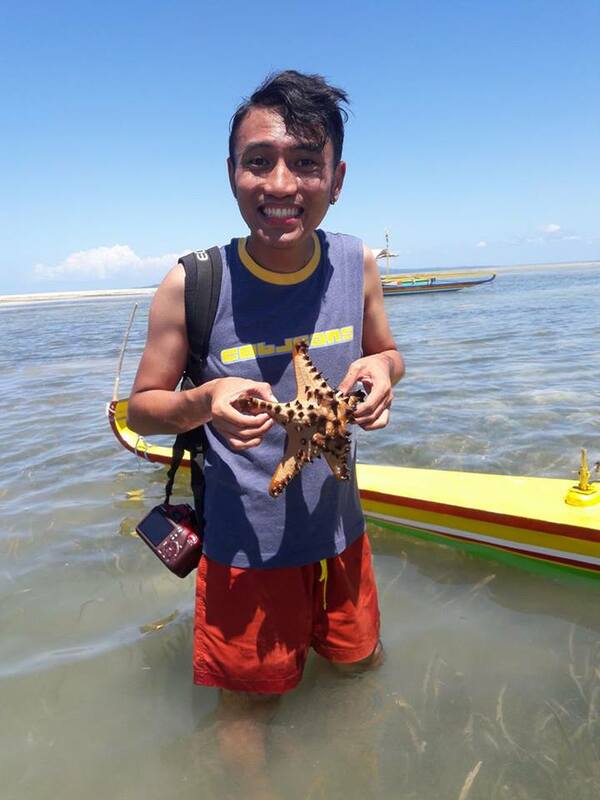 It is also the first time I actually touched a starfish! Yes! That island is also home to Agoho pine trees aside from palm trees dotted along the island’s shoreline. 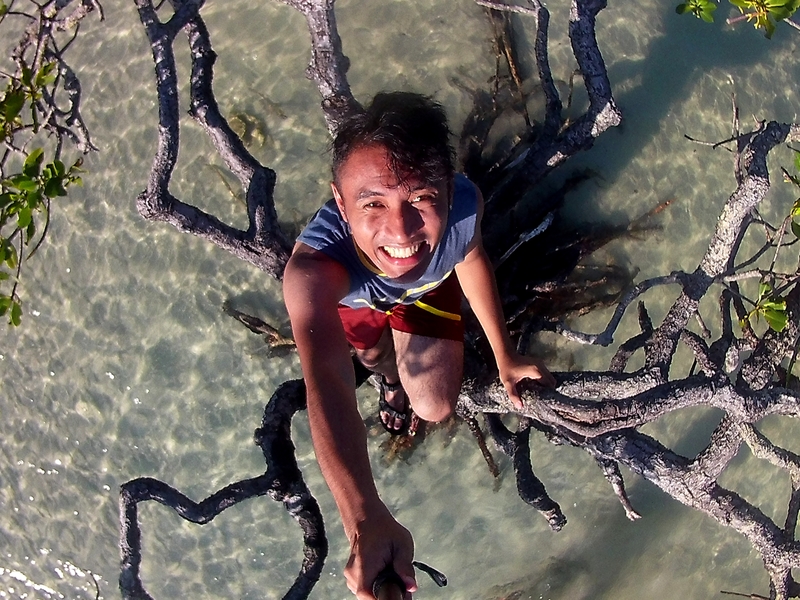 On the other side of Cagbalete, there is also a Mangrove sanctuary and some sandbars perfect for picture-taking! Just 4-5 hours away from Manila via public transport, Cagbalete is worth the travel, I tell you. Yes, it can be tiring, but its welcoming atmosphere just blows your stresses away. This is now the second post about the challenge and I am excited to share to you guys what I have experienced in Cagbalete. Happy reading! With Wander Pinas’ very first (of the many) getting-to-know trips, this is the most memorable so far for me. It’s like we became best friends in a span of two days! Yes! 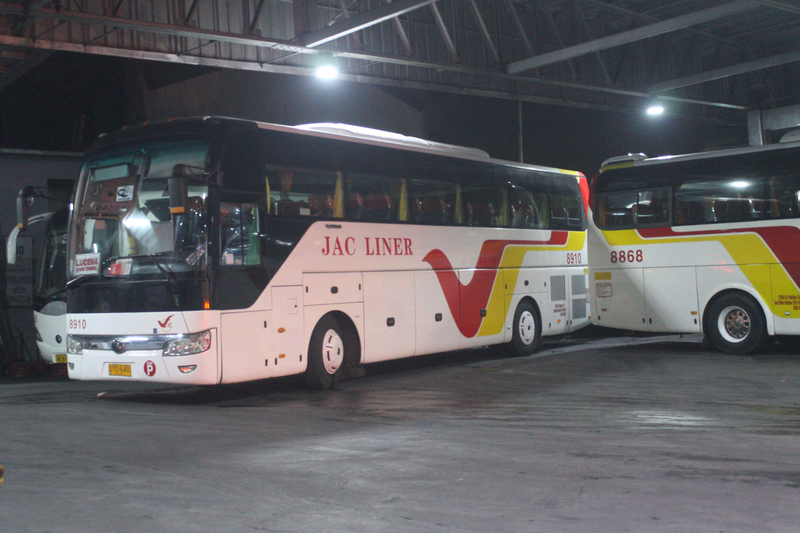 Focusing on the trip, we talked to meet by 0100 H and JAC Liner EDSA-Kamias as the rendezvous. Daily trips are available to and from Cubao, Lucena, and Mauban (by schedule) and JAC Liner is one of the major bus lines servicing the route, arriving at Lucena Grand Terminal. Travel time from Cubao, Quezon City to Lucena, Quezon is approximately 4 hours and upon arriving, it’s the perfect time to have breakfast. 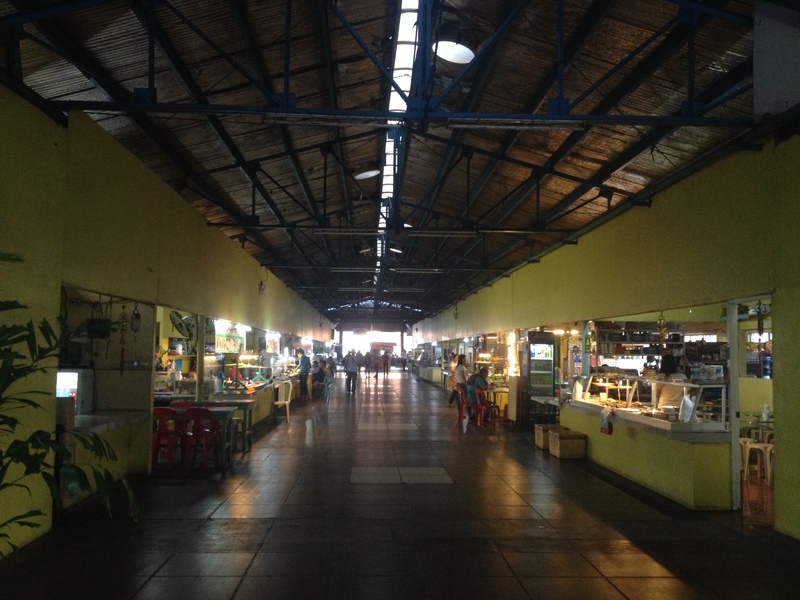 The central terminal is so wide that there are various eateries there. Even pasalubong centers are instantly available. Upon arriving in Mauban, it is advisable that you go immediately to their local Tourism Office to register and so that you can queue up in the port for boarding. In our case, our group chartered a private boat (maximum of 20 persons) to escape the long queue. And believe it or not, we were at the port by 0830 H and our number stub is 80+! If you want to charter a boat for your group (which is advisable to be in a group of 20), you can contact Kuya Jayjay at +63 939 111 2012. Buy all your food and essentials before boarding your boat in the port to save energy! It is better if you buy everything you need it before travelling – to avoid the hassle and by not getting that much tired. Food in the island is pricier so you might want to save up. When reaching Cagbalete Island, you have to walk for some 500 meters from the shore (especially when you arrive at midday) because of low tide. The water is only ankle-high anyway. The water will eventually rise in late afternoon. 1100 – 1200 Lunch Time! When we were there, some locals offered help to let our food be cooked in their house for a minimal fee (talk about hospitality!) We then shared food with each other and enjoyed our simple lunch by the shore. In the late afternoon, our group decided to go to the Mangrove Sanctuary on the other side of the island. It is a 30-40 minute boat ride from our station at Pansacola Resort to the sanctuary. 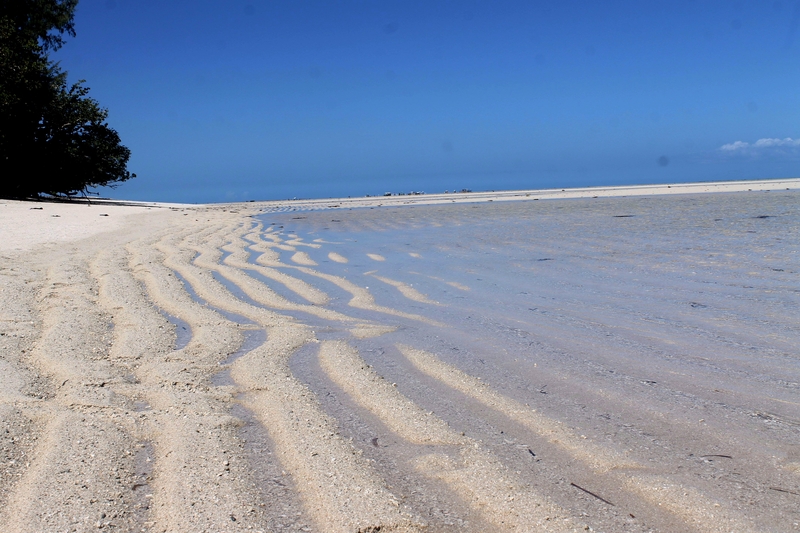 In the early afternoon, waters are also very shallow and some sand bars started to appear. These mangroves then became an instant additional tourist attraction in Cagbalete for ‘photophiles’ like us. Hehehe! It is best to go to the sanctuary before the sun sets because the waters will start to rise as evening draws near. After visiting the mangrove plantation, some of us decided to dive the deep waters and go snorkeling. FYI, it is also good if you have your own snorkeling gear because boaters may charge you for an additional fee when you borrow from them. Upon returning from that mangrove-and-snorkeling excursion, we the rested for a while and prepared for dinner. The climate is generally warm and dry so it is very good to bathe in a cold shower within the resort, especially at night. Take a bath as early as possible. In the whole of Pansacola Resort, there are only for shower rooms and toilets that accommodate a large number of people, especially during weekends, long weekends, and holidays. It is very disadvantageous to wait for a long time queuing in the bathroom when you came in late. Electricity in the island is somewhat scarce and generators are charged whole day for the vacationers to use something at night. It is also good if you have flashlights or lamps with you for the evening. There is also a small number of light bulbs provided by the resort we are in, which is a good thing. There is also a charging station for gadgets in a store near us for only PhP 10.00 per charge (on a first-come first-served basis). Rumor has it that when electricity is not enough to accommodate everyone, they turn off the light bulbs provided as early as 1800 H to have reserve energy for the next day/s. After dinner, we had our free time and some of us bummed the shores again. You can also buy food for the next day and you can charge your gadgets at the charging station at nearby stores. It is also the perfect time to bond with friends and exchange stories with each other. On our second day on the island, we woke up early to have some early photo-ops and some beach bumming while our breakfast was being cooked. After, we prepared for our departure at 0900 H to catch early trips going back to Manila. It is advantageous if your group charters a private boat so that you can contact the boat operators anytime on what time you would like to depart the island. 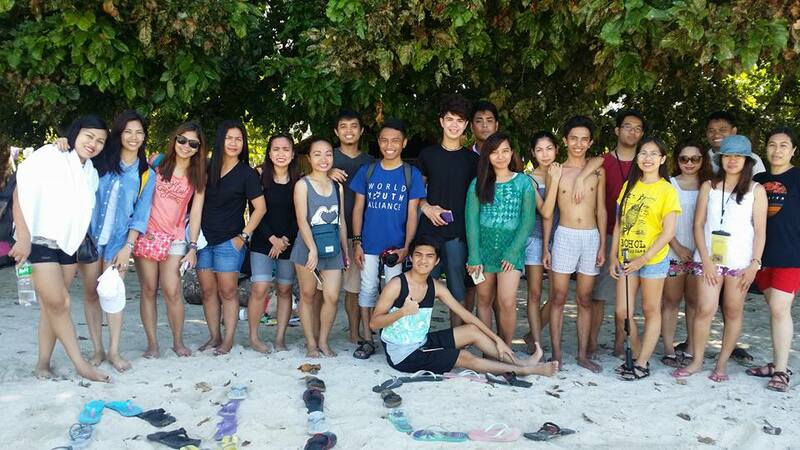 Although we did not meet the challenge, going to Cagbalete Island is worth the travel time and your tiredness. You get to appreciate the simplicity of island life and the warm smiles of the people are just unforgettable. It made me forget my busy City life because even in a short span of time, I was separated from all work-related stress and it gave me that much-needed breather. I would want to go back to Cagbalete as soon as possible! 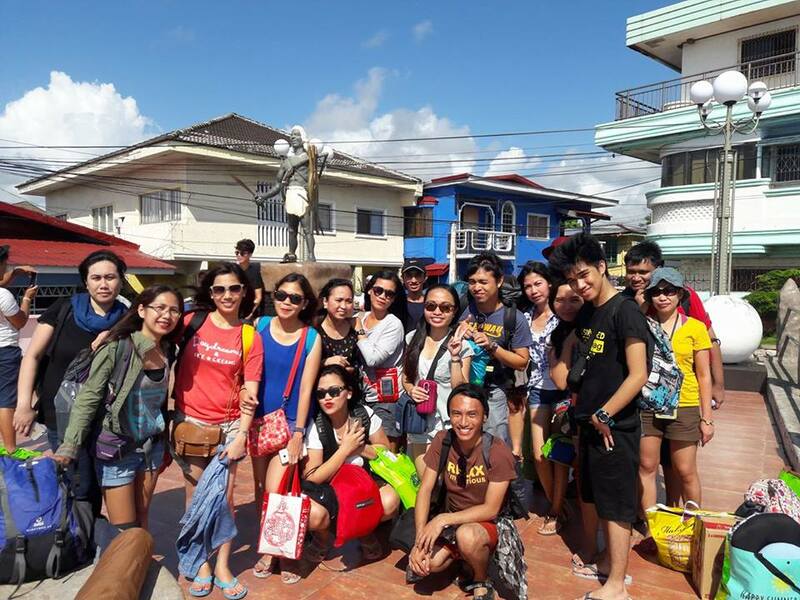 So pack your bags and spend a day or two at Cagbalete Island – because we were born to travel! Reasons why you should fall in love with Boracay again and again! Ohmygosh I have never been to Cagbalete but have always wanted to go!! My favorite is the last photo. Thank you for sharing! Yup yup yup! 🙂 It can be lesser if you are more in the group! 😀 Happy travels, kuya Keevin! Love how you tried to get the 1K challenge. 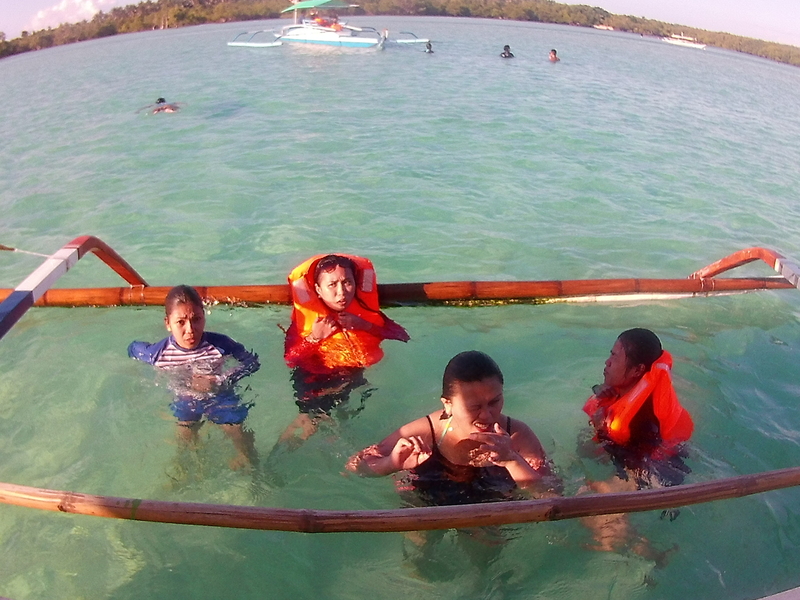 We did tried that too when we were traversing Negros & Siquijor and we made it with 5K or less. Once I come back in Manila, I’ll go there and hope I get to met some friends to travel as a group. Seeing the sand makes me want to go to the beach right now. wow! what a paradise!!!!! and i can’t believe it’s a 1000 thing. Oh well, when it comes to expenses, we have all that creative minds to stick to our budget 🙂 good idea! What an adventure! It must have been a wonderful experience! And wow you really did so good on budgeting! I could use a beach trip right about now! Top notch travelling you got there mate 🙂 The best part is, you only get to spend a thousand peso to enjoy. Nice ! I’ve heard so much about Cagbalate and my oh my, based on your pictures it sure looks beautiful. I’d love to go there myself and I want to camp also to make the experience more meaningful. For 1,000 pesos budget, I say it is not a bad deal at all. It’s okay if you didn’t make the P1000 budget challenge, the total of your final expenses is still pretty cheap. 🙂 Been wanting to go to Cagbalete since last year. I’ll probably do so when it’s off-peak season to avoid the crowds and long queues. From the photos, let me say this. The sand and the water is not Boracay. It’s pretty tough to find another beach that can match the fine powdery white sands of Boracay (especially in front of Friday’s Resort). Having said that, Cagbalete is cheaper and what Boracay was in terms of tourism. Boracay today is crowded and for someone who has been going there from 1990-2003, each year, and having spent FIVE years living there, I can tell you commercialism has destroyed ‘pristine’ Boracay. For less than 1000 pesos, Cagbalete is WORTH it. Nothing beats a beach with not a bunch of tourists every direction you looks, plus the noises blasting through the night. I was just about to start day dreaming when I saw that gorgeous white beach . Too beautiful to be true, wow how impressive. Then reading “Boracay” reminded me of you , Robert . Did you not tell that you have worked as a dive instructor /scuba diving and lived in Boracay ? Then reading your comment has made me come back to reality , it sounds like the same sad story that is happening everywhere. Greed of governments forcing mass tourism and destroying it all , building one all inclusive bunker after the next one , cheap low-level plastic bracelet wearing invaders will leave their footprints , and the locals are paying the bill for that. We can’t enough support environment organisations and activists , without them the Canary Islands would have been a big scrapheap. Anyway , I don’t wanna come across as a party pooper , this is a neat post . Just a shame , that it doesn’t give a clue about the currency exchange rate . It would have been interesting for us non-Philipinos to get an idea about the ‘value for money’ aspect. The place is fantastic! And for P1000, it’s a paradise on a budget 😊 You have great photos. Hope I can visit this place. I love Cagbalete and the rest of the cheap beach destinations in Quezon Province. I am amazed how it has massively populated by visitors. I can’t really compare Pagudpud and Boracay as Cagbalete is more undeveloped than these two. In terms of sand, Boracay has still the best, I guess, minus the commercialism effect. Nevetheless, I prefer Cagbalete to visit more than these two as it still relatively more natural and less tourists. 🙂 Lovely photos btw. Glad you enjoyed the island in its natural exploration! Woah, I love the 1000Php challenge. Actually Cagbalete is the next on my list, we’re going here on September which we hope won’t rain too much. Anyways, this is too detailed!! 😀 Thank you, totally got useful infos! To more travels! I had never heard of Cagbalete before. But it really looks wonderful. I love the pictures you made. The nature is so impressing. Beautiful starfish and it sounds like there even more to explore there! Would 1000 peso be around 21 dollars? Omy. You got with that sand waves. You should be doing more of this 1000 challenge. It was all worth it. Thanks for the thorough post of your trip. Your 1000 peso challenge is so amazing! I mean, the challenge on fitting everything in a thousand pesos is really tedious to do especially with all the inflation and whatsoever. Another post, another adventure. Thanks for feeding my hungry soul with beach photos!